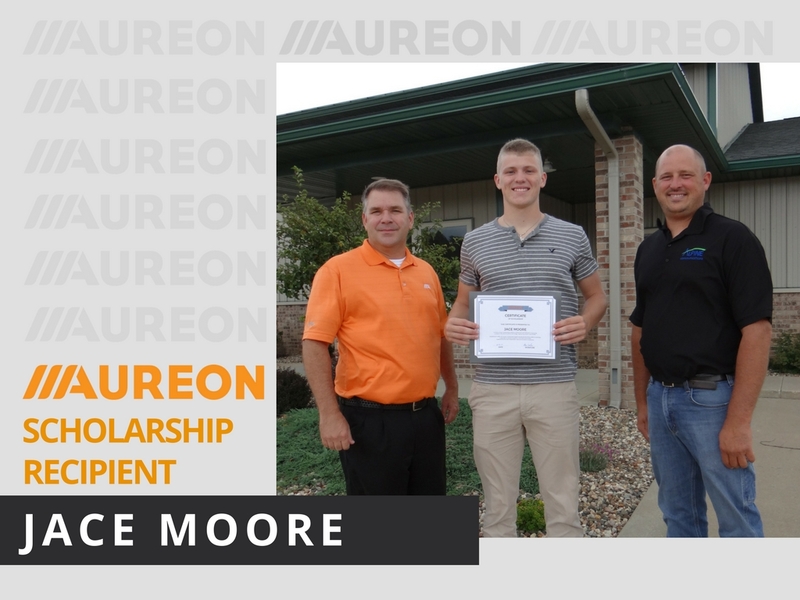 Aureon has announced the recipients of its 2017 Scholarship Program. This year, 50 highly qualified applicants competed for $5,000 in scholarship funds. Five deserving high school students were selected to receive varying amounts for demonstrating excellence in the classroom and in their community, along with their commitment to further their education in a STEM-related field. Program provides scholarship funds to students in rural Iowa communities, supported by the Iowa Independent Telecommunications Companies. To date, the company has awarded approximately $65,000 in total scholarship funds. “We are very proud to support these outstanding Iowa students for their academic achievement, dedication, and community leadership through our Aureon Scholarship Program. Their dedication to pursuing a future career in a STEM-related field is essential for the future of our industry and many industries throughout Iowa,” said Justyn Miller, President, Aureon Technology. Jace Moore of Guttenberg, Iowa, plans to attend Wartburg College in Waverly, Iowa, and major in Engineering. As a senior at Clayton Ridge High School, he was president of their National Honor Society and has been very involved in community service. He has helped with youth football camps, refereed youth football games, and coached a little league baseball team. He has also helped the community by raking leaves and shoveling snow for the elderly as well building a wheel chair ramp for a neighbor paralyzed in an accident and volunteering with many local food drives. We wish Jace all the best at Wartburg, Go Knights!